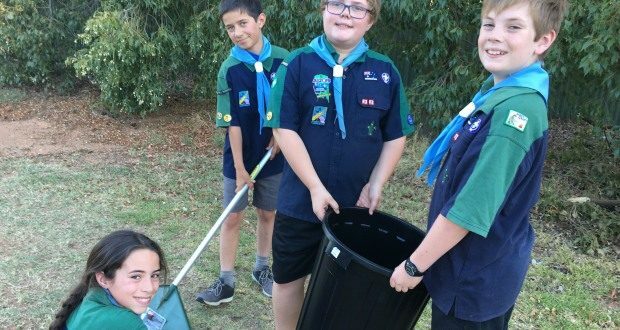 The Lake Boga Sea Scouts are doing their bit to help the fruit fly fight. Residents will now be able to register to have fruit collected from their backyard trees if they are unable to do it themselves due to ill health or physical limitations. The sea scouts will visit people’s homes, and collect and dispose of the fruit. And thanks to funding from the Department of Economic Development, Jobs, Transport and Resources, the scouts will receive a donation for their efforts. Swan Hill Rural City Council Economic Development Co-ordinator Muriel Scholz said the program was another way the community can continue the fight against fruit fly. “We know that some people can’t quickly pick up fruit that has fallen, and this is a way we can help them deal with the risk of infestation,” Ms Scholz said. “Removing trees that can’t be managed is the preferred solution and people will also be encouraged to register their interest in the free tree removal program. “But this new initiative will be a quick response to help those unable to collect fruit from their residential trees due to ill health, physical limitation or compassionate circumstances”. Ms Scholz said fruit fly remained a threat to the Swan Hill region horticultural industry, putting millions of dollars and hundreds of jobs at risk. “The community continues to put up a great fight, and we are making inroads, but we cannot be complacent. This program is just another way to help fight the fly in our towns,” she said. The program has been developed by Council, the Lake Boga Sea Scouts, Sunraysia Area Pest Control Industry Development Committee and the Department of Economic Development, Jobs, Transport and Resources. To find out more, or to check your eligibility for the program, contact Council’s Economic Development Unit on 5032 3033.